Both teams come after wins to nil away from home, but a way bigger challenge awaits in Europe, one that promises hefty rewards, but also threatens CFR’s and Steaua’s consistency in Liga 1, where both clubs are considered the main contenders for the title. If the Bucharest outfit started really well, the reigning champions have dropped points and also lost a number of good players and they’ll be heading into the most demanding part of the season with a tired, damaged team, hoping that the new signings will have enough quality to skip quickly over the period needed to adjust to a whole new environment. But, for now, both sets of fans will be thinking of Braga and Stuttgart and I’m sure that there’s also interest from Portugal and Germany, so here’s a quick look at the state of the two Romanian teams. Ioan Andone will be coaching for the first time in the CL group stage. 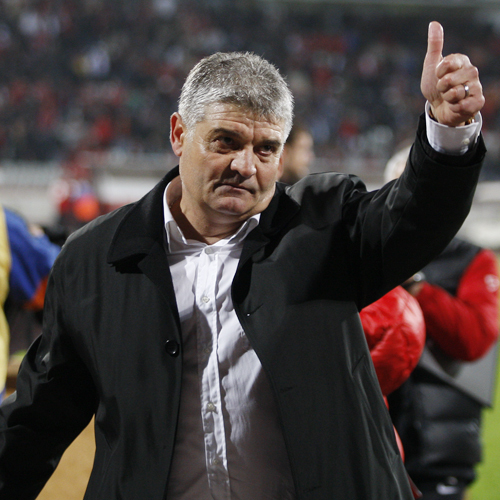 Basically, there’s unpredictability as far as the game is concerned, although coach Ioan Andone might try to surprise both Braga – the team’s first opponent from the Champions League’s group stage – and his team’s fans. Most likely, he will be gambling on either Sasa Bjelanovic (Kapetanos had some medical problems during the game vs Dinamo) or Luis Alberto, as only these two of the last additions are in good shape and have also been included on the list registered with UEFA. If Bjelanovic can only take the place of the Greek goalscorer, Luis Alberto will challenge Gabriel Muresan and Nicolas Godmeche for a place in front of the back four, with the Frenchman most likely to drop to the bench, in case Andone wants some fresh blood in midfield, where another substitution could see the talented but inconsistent Rui Pedro take the place of Diogo Valente, who’s yet to impress in CFR’s shirt. The talented Chiriches and Tanase will give it all to impress in Europe. A comfortable away win against newly promoted CSMS Iasi came at the right time, offering a boost of morale without asking for too much effort in exchange. Unfortunately for Laurentiu Reghecampf, who was in Germany to watch Stuttgart’s weekend game, left midfielder Cristian Tanase couldn’t finish the game due to some muscular problems. If the highly rated Romanian international can’t get to full fitness in time, there are two options to replace him: Paul Parvulescu, who also played at left back, can do the winger’s job, allowing Reghecampf to secure the flank, or Alex Chipciu can move on the left and do the exact same job as Tanase, given that he’s also a right footed wide midfielder who likes to cut inside – something he excelled at while playing for Brasov and also earned him the transfer to Steaua. In this case, Adrian Popa would take his place on the right side, adding a lot of pace and some decent skill, but no experience at all in such games. Either way, the Bucharest side, who managed this weekend to claim the first place in Liga 1 after two years, promises to test Stuttgart’s defense with a high paced attacking maneuver that this club had in its DNA, but no other coach had managed to activate it in recent years. 2-0 vs Estonia, 4-0 vs Andorra and Victor Piturca looks like a happy man. “I’d give my boys a 10!”, said the coach after the win from Tallin and, surprisingly, went further after tonight’s success, offering a 10+. It makes sense only if you think that, before the game, he was happy with a 1-0 win against Andorra (please don’t pay too much attention to the FIFA rankings! ), but who saw the match and the struggle to open up a crowded defense would beg to differ. So, quite relaxed, Piturca should be looking to find the right setup, so he can take the best out of the current set of players and, as I think the current 4-2-3-1 isn’t delivering, I’ll share my thoughts on how I’d see the starting eleven and best tactical setup, using a selection that should have included goalkeeper Dani Coman and attacking midfielder Lucian Sanmartean, both from FC Vaslui. In goal, I’d go for Pantilimon, who has been training with some of the best players and coaches and has the brightest future of all. Lobont lacks competitive games and the kind of size that will be required at least versus Estonia, while Tatarusanu is so inconsistent that he’s a rotation player even at club level. The back four poses another problem: who deserves to pair Vlad Chiriches in central defense? Luchin played in the center for Dinamo last weekend and could be a solution, but I’d go for Astra’s captain Valerica Gaman. Would have preferred a quicker centre-back or at least one with a lot of experience and ability to sweep any activity that might happen behind Chiriches, who’s very comfortable on the ball and loves to show it. This way, Luchin can return at right back, as I don’t consider Matel back to his best (and not sure that his best is national team material either). I’m sure Piturca will pair Steaua’s Bourceanu and Pintilii in front of the defense, in a 4-2-3-1, but I think Pintilii is a natural anchorman and, just like Bourceanu, is more effective when operating alone there. That’s how he earned his first call-ups, that’s how he got the chance to move to Steaua from Pandurii. And I’d prefer him instead of Bourceanu, who’s a hard working guy, aggressive and all, but more limited in terms of vision and timing, vital attributes at this level. 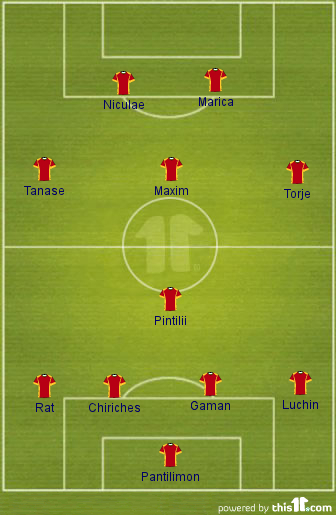 In front of the only anchorman, three dynamic attacking midfielders would push back Estonia and keep its’ defense and midfield very busy, with Tanase and Torje in their favorite positions and the in-form Alexandru Maxim deployed in the central attacking midfielder role that lacks solutions in Liga 1 at this point. 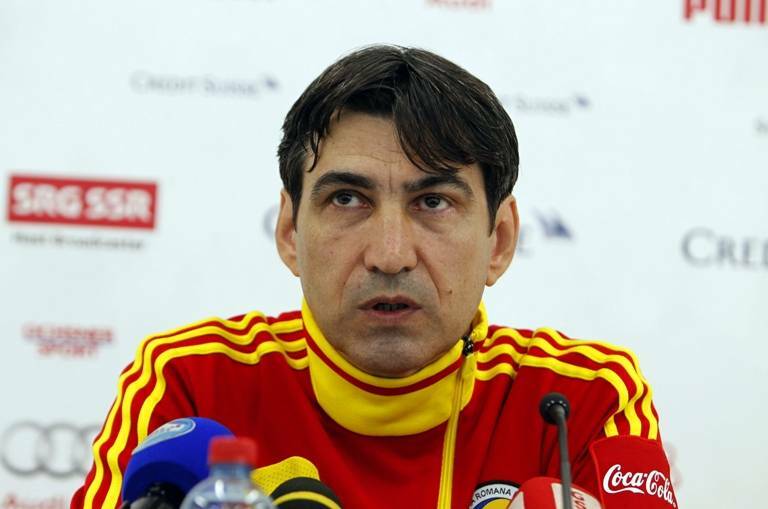 He’s great on the ball, mobile, works well on tight spaces and should not miss from Romania’s starting eleven tonight. With an option for the number 10 position, I would have left on the bench Torje and started Maxim on the right side instead – he’s definitely playing better these days! Top scorer in Liga 1, Raul Rusescu gets a chance to impress for the senior national team. Romania starts the campaign away in Estonia, a tricky opponent that would be followed by Andorra at home, and a six points tally is a must, before the qualifiers really get going, as Hungary, Turkey and Holland will stand in the way of a performance that’s been missing since 1998. 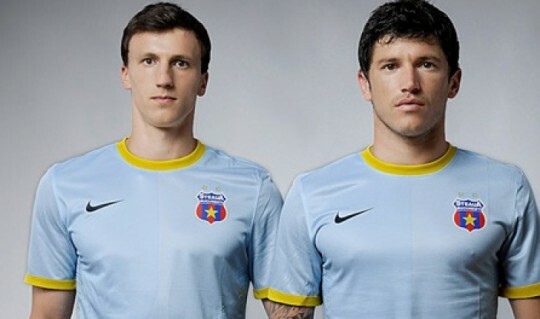 To draw a parallel, it makes no sense calling-up both Bourceanu and Pintilii from Steaua. Bourceanu will start, so why have Pintilii as backup, especially after you’ve criticized him for playing below par since his transfer from Pandurii. But trying to find logic in Piturca’s choices is a waste of time, no wonder that’s exactly what Romania has done in recent years on the international stage.